So, since I got it I’ve been trying out all the things I couldn’t make before because all I had was a hand whisk. First off – bread! 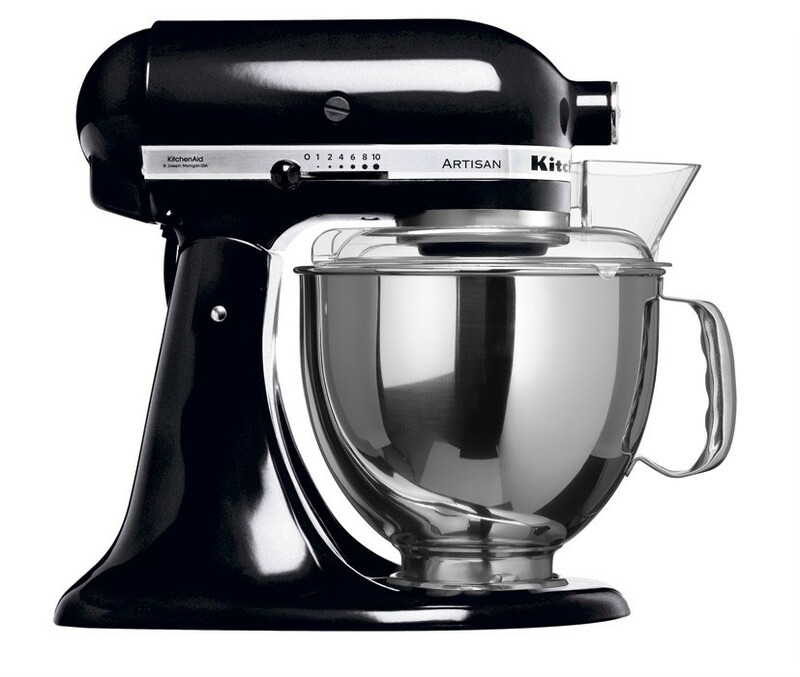 The KitchenAid has a dough hook for breads and scones and other scrumptious treats. 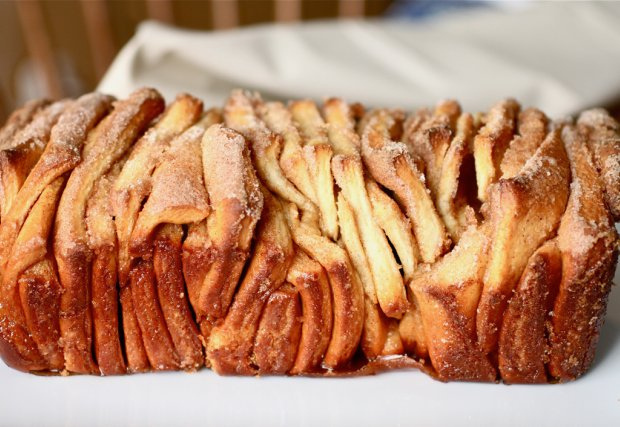 This was an extra special cinnamon pull apart loaf, which I found on Pinterest. In a large bowl, whisk together four cups of flour, sugar, yeast and salt. Set aside. In a small saucepan, melt together the butter and milk on medium heat until the butter is just melted. Remove from heat and add the water and vanilla extract. Let mixture cool for 2 minutes. Pour the milk mixture into the dry ingredients and mix with a spatula. Add the eggs and continue to stir until the eggs are incorporated into the batter. The batter will be quite sticky at this point. Add the remaining cup and a half of flour and continue to mix with a spatula for an additional 2 minutes, until ingredients are well combined. The dough will still be a little sticky. Place the dough is a large, greased bowl and cover with plastic wrap. Allow to rise, until doubled in size, for about 1 hour. Once the dough has risen, punch the dough and knead the remaining four tablespoons of flour into the dough. Cover with a clean kitchen towel and let rest for 5 minutes. Meanwhile, mix together the sugar, cinnamon and nutmeg for the filling. Butter the bread loafs. Cut the dough into two equal pieces, and place one piece back into a bowl and cover with the towel. Working on a lightly floured surface, roll out one piece of dough to 12 inches x20 inches (30 x 50 cm.). Use a brush to generously spread melted butter across the dough. Sprinkle with cinnamon and sugar mixture. Cut the dough vertically into six equal strips. Stack the strips one on top of another and slice the stack into six equal slices. You should have six stacks of six squares. Place the squares into the prepared bread loafs, so that they are standing up. Repeat with the second piece of dough. Preheat oven to 350ºF. (180ºC). Cover both loaf pans with a kitchen towel and allow to rise for 30-45 minutes, until doubled in size. Bake for 30-35 minutes, until the top is very golden brown. The center will be a bit soft. Allow to cool for 20 minutes before serving. Previous Post Outfit: primary colours = Spring!